It’s become something of an official ritual in Synagogues across the country that on Tu Bishvat, the Jewish celebration of tress and nature, children in the religious school decorate flower pots, fill them with potting soil and plant seeds in them. 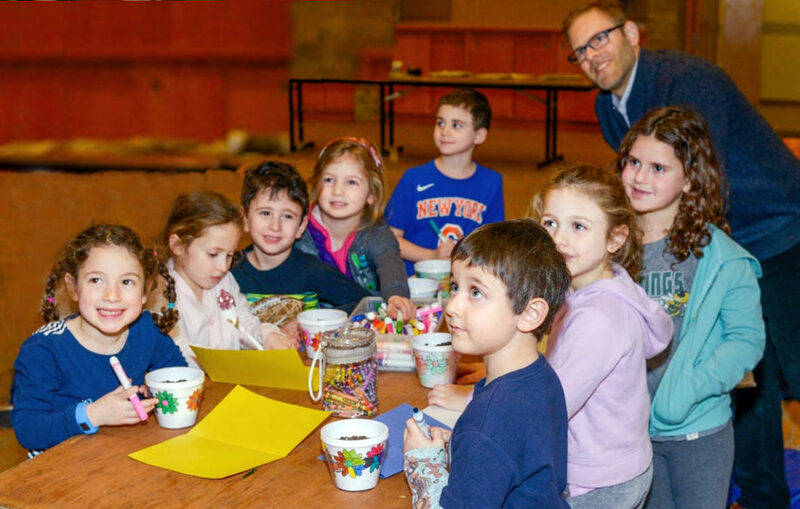 This year, the students at Shaarei Tikvah Synagogue in Scarsdale turned this activity into a kind of intergenerational friendship offering. They decided to give their pots to the participants of a Seivah musical program, How Sweet It Is, which meets every other Wednesday at the synagogue. The class invited Seivah to teach about dementia and to help them design their project in a dementia-friendly way. Before we began decorating and sowing, we discussed what it’s like to be deeply forgetful. Of course, many of the children could relate, having left past years’ seed pots on the windowsill for too long without water. I asked, what could we what they might write on the pot to make sure a very forgetful person would remember to water it. After some puzzling through, one of the children arrived at: “Feel my soil. If I’m dry, water me.” Perfect, I thought, no need for a watering schedule. We then spoke about how all people, even very forgetful ones, have an innate need to nurture. The children’s gifts would give their recipients an opportunity to do that. The idea to use planting and giving as a way of forming human connection came about because this year Tu Bishvat coincides with Martin Luther King Day. Rachel Mann, Shaarei Tikvah’s Education Director, helped her students come up with the idea as an exercise in empathy. Rachel and I gave them an opportunity to feel a bond with nature, a bond with people they might never meet, and to contemplate how easy it is for anyone to forget to water their plants. Big responsibility, that little seed pot! We learn to trust people who are as imperfect as we are. The kids of Shaarei Tikvah made this story flow in reverse. Now they were the Carob-Tree Planters, planting for those whom they could not see, except in their mind’s eye.